Realizing the impact that our homes and buildings have upon the environment and our quality of life, Everblue is committed to helping you understand and build sustainably certified homes and buildings. At Everblue, we believe that everyone wins with sustainability. Building and home owners benefit with improved comfort, health, and savings. The environment benefits with increased density, reduced sprawl, and decreased greenhouse gas emissions. Our nation benefits by reducing its dependence on foreign oil and its trade deficit. The more energy independent we become, the stronger we are as a country. This is the mission that fuels Everblue and its employees. 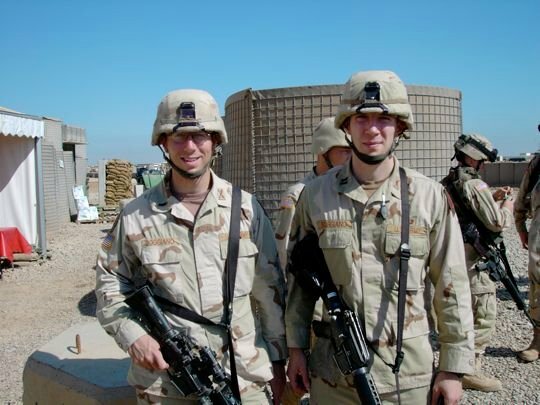 Jon and Chris Boggiano founded Everblue after serving overseas with the U.S. Army for a number of years. During their active duty service, the Boggianos were stationed in Germany and deployed to Iraq and Kosovo. Through these experiences, the brothers became aware of one key issue plaguing the United States – we have a broken energy policy. It became the Boggianos’ mission to help fix the problem after they left active duty. Coming from the military and with engineering backgrounds, the Boggianos realized that they could have the largest impact by training people about energy efficiency, renewable energy, and sustainability. They founded Everblue to help change the way people think about the world. Educating individuals will help make the U.S. more energy independent and will equip the domestic workforce with being technologically competitive. By helping people get certified in sustainable building practices and solar energy, we can promote energy security, build prosperity, and safeguard the environment. While at West Point, the Boggianos experienced a very disciplined approach to education, and this no-nonsense style of training is what elevates Everblue’s curriculum and ensures that course participants are making the most of their educational investment. We don’t talk about politics in our classes. We only like to teach things that are practical, realistic, and achievable. When a student walks out of our classes, he/she knows how to do something now that makes sense, that can save money, that is more efficient. Call 800-460-2575 to learn more about our training programs.